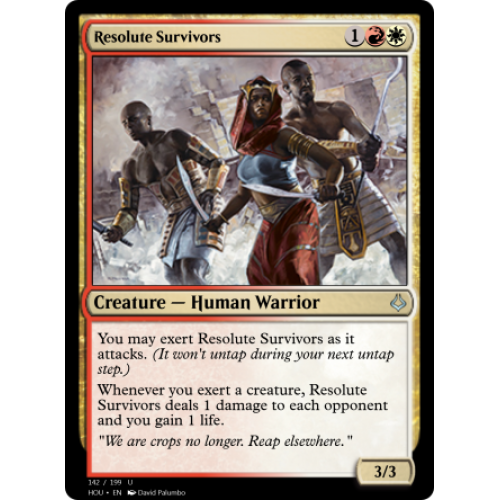 Whenever you exert a creature, Resolute Survivors deals 1 damage to each opponent and you gain 1 life. "We are crops no longer. 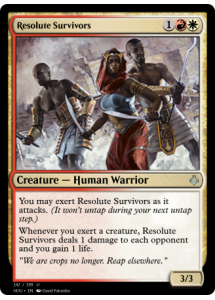 Reap elsewhere."